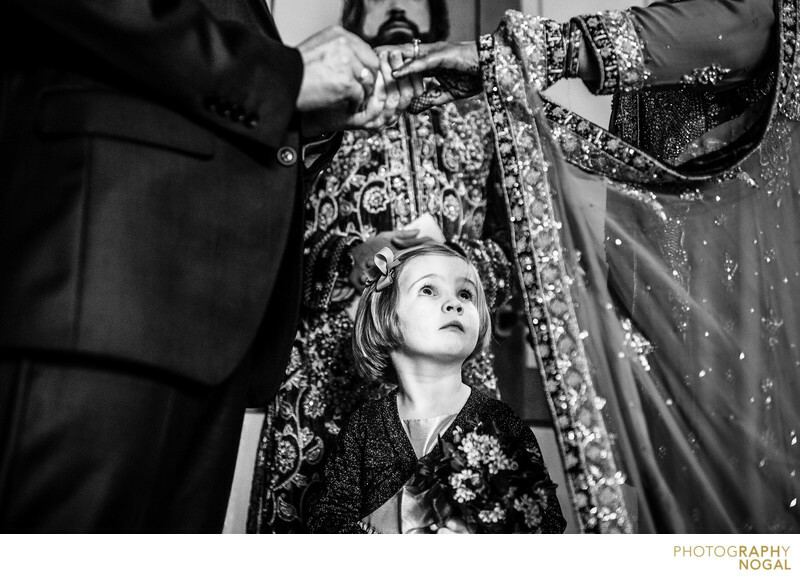 This curious Flower Girl could not get enough of the ceremony and wanted to be front and centre for the best view. During the ring exchange, she kept gazing back and forth at the Bride, Groom and the rings. Just adorable. Location: 35 Tank House Lane, Toronto, ON M5A 3C4.